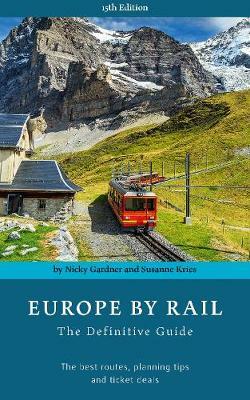 Whether you are making a long `grand tour' or just planning a couple of weekend breaks, Europe by Rail is the perfect guide. The book is shaped around 50 key routes which span mainland Europe. Each route can be followed in its entirety or used as a building block in a longer itinerary. Beyond the main routes, there are pointers to branch lines and less frequented railways. Written by two highly experienced travellers, the book contains useful tips about how to plan your journey, what tickets to buy and where to stop off along the way. There are special sections for holders of rail passes, including Interrail and Eurail, as well as information on night and cruise trains. The country guide summarizes key information about travelling by train through each of the 48 countries listed. Apart from being full of good advice and up-to-date information, the book is also a good read. With its nicely opinionated style and lots of cameo accounts of travel history, there's plenty here for armchair travellers too.